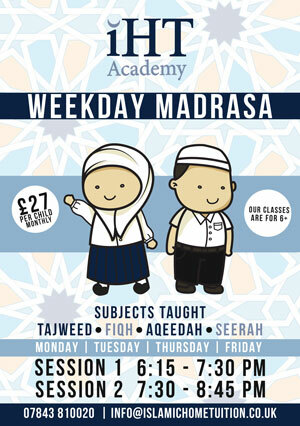 The IHT Academy is a relatively new project and it is essentially a restructuring of the old madrassa-style teaching. 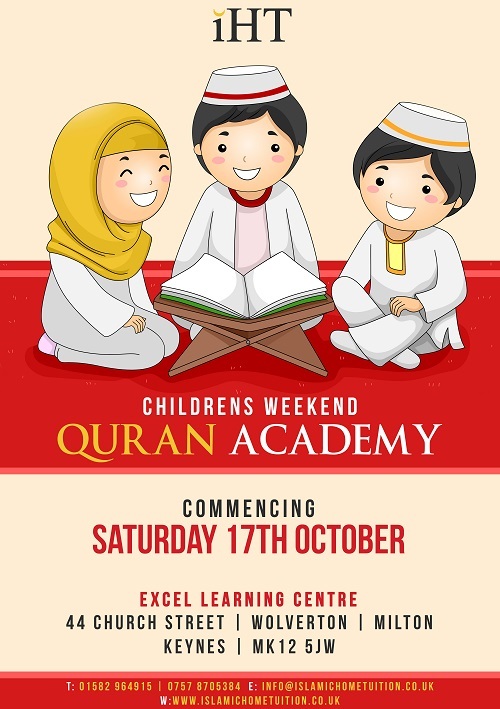 The Academy really strives to systematically educate children in a way whereby they are intellectually engaged. This is achieved by utilising a variety of teaching methods which ensures that monotony in the sessions is avoided and the children’s attention is maintained. It will be a hub for essential Islamic learning. 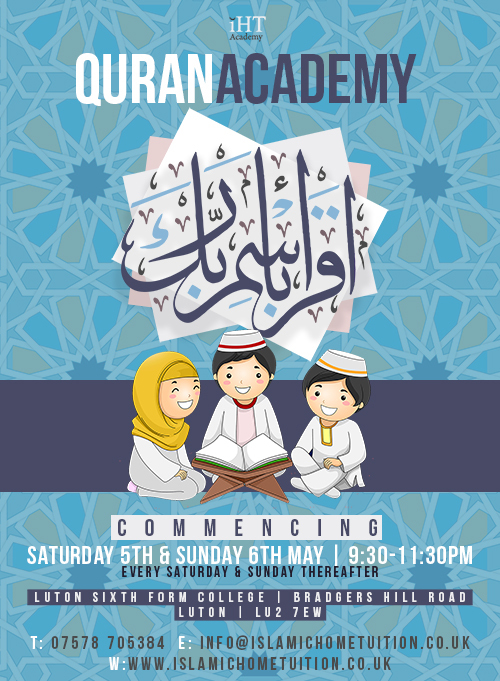 The Noble Quran will be the immediate point of concentration in so far as learning recitation, as well as improving it. 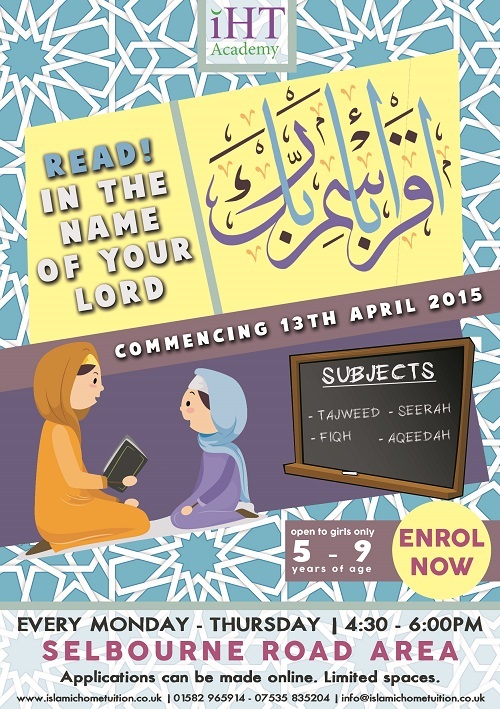 Furthermore we propose to teach the fard al-'ayn – knowledge which is obligatory upon every Muslim – to begin with. 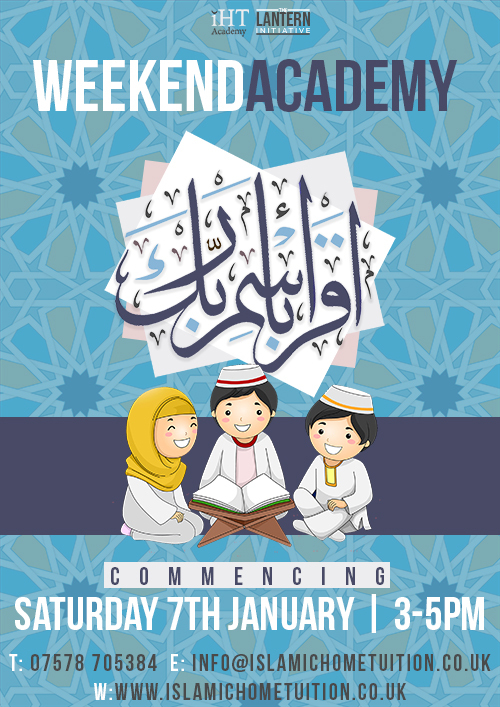 The Academy has a full curriculum in place and the subjects covered include Quran Recitation, Islamic Law, Prophetic Biography, Islamic Creed and Memorisation. 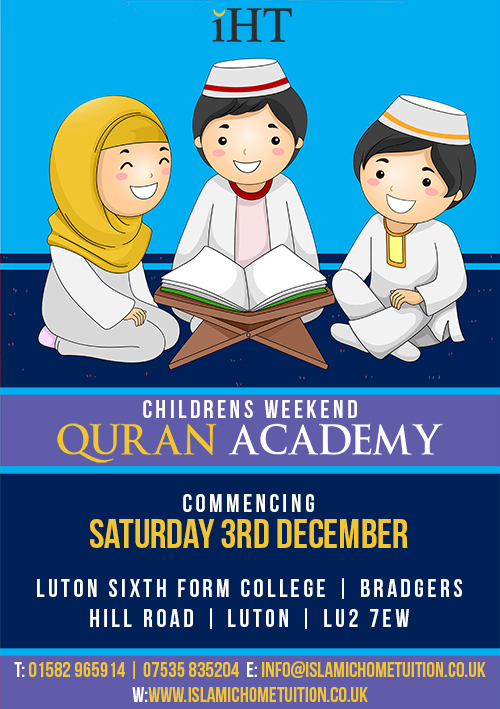 We believe that these core subjects will enable a child to learn and then develop a well-rounded understanding of the religion. We welcome all to have a read through our Academy portfolio in order to fully grasp our unique Academy initiative. 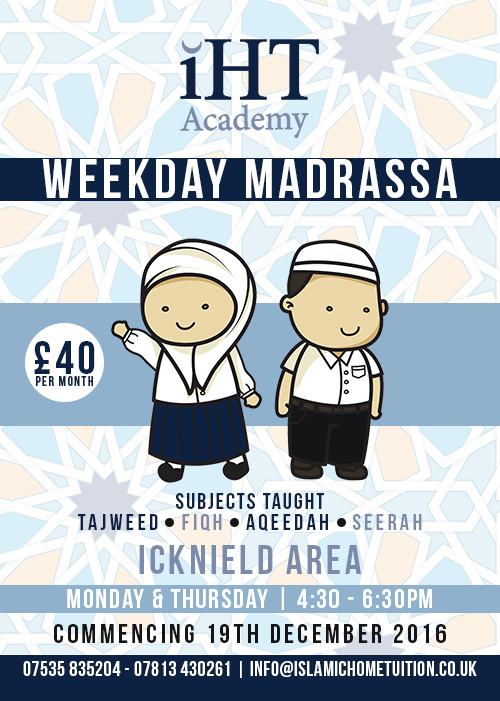 Additionally there will be studies of some of the Islamic sciences taking place. Children will be taught different lessons from the Quran ranging from the importance of prayer to the day of judgement and from the stories of the Prophets (a) to the deeper understandings of the more commonly recited passages. The IHT Quran Academy will focus specifically on the recitation of the Quran whereby children will learn the theory and the practical side of tajweed. The tutor will concentrate on enabling the student to read competently. 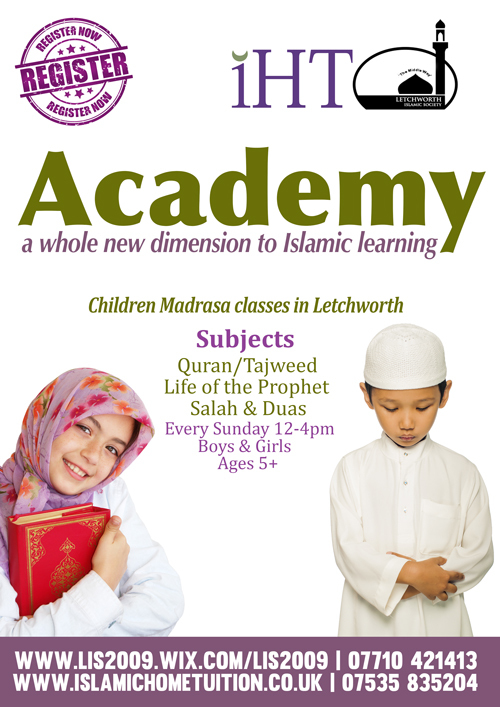 The Academy really strives to systematically educate children in a way whereby they are intellectually engaged. This is achieved by utilising a variety of teaching methods which ensures that monotony in the sessions is avoided and the children’s attention is maintained.